All 50 Walmart promo codes have been verified and tested today! On select Disney the Little Mermaid items. If you shop here regularly, then consider getting the store's credit card. Here are just some of the perks: you will get $35 off in store credit when you open the card and complete a purchase, you can manage your account from anywhere, save 3% on store purchases, save 2% on Murphy USA fuel purchases and 1% anywhere the card is accepted. Use it in combination with Walmart coupons to get more out of your purchase. You can use Walmart promo codes in the app. 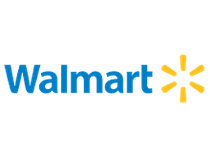 The Walmart app is free to download for all mobile devices and will save you money from the comfort of your home. Not only can you shop online and schedule deliveries or pickups, but it also gives access to offers before deals even hit the real store. Did you buy an item from Walmart only to find it cheaper elsewhere? With the Savings Catcher, your spent money isn’t wasted if you catch the price discrepancy within seven days of your purchase. The difference will be deposited onto your Walmart card or in your Walmart app account. Walmart has free shipping for members, but even non-members can enjoy this deal. Directly order $35 worth of qualifying items, and select the free shipping option. You can get your needed items without the shipping fees, and you don’t even need a Walmart coupon code. Rollback sales, aside from Walmart coupons are the store's most popular discounts. Rollbacks can happen on seasonal items, but also favorite items found throughout the store and all departments. You can save up to 80% off on toys, electronics, furniture, housewares, clothing, pharmacy, outdoors and sporting equipment, and many other departments. Check Rollbacks for items that you need to restock or add to your household. Grab it when you see it as these items don’t stay in stock for long. ...and other standard shopping sale days in the U.S.
Toys can be pretty pricey, but that doesn’t seem to matter to the little ones. Instead of worrying over the prices all the time, hit up Walmart when the store has ongoing toy clearances, which may offer deals up to 70% off bestselling toys with or without a Walmart coupon. Don’t just buy your groceries at Walmart. You can also find makeup, jewelry, car maintenance parts, and even more. Any of these items could go on sale or clearance soon, and you won’t want to buy more expensive somewhere else. Keep an eye out for a Walmart promo code on the items your daily life needs, not just the general groceries and cleaning supplies. Walmart often has lower prices online, and it will price match themselves too. Price matching allows a customer to buy an item for the absolute lowest price. If a competitor has a lower rate than Walmart, it will drop its price to match the other. Can't find a Walmart discount code to help you save? There are other ways to stretch your dollar. When you're shopping in-store, always scan the markdown tags. If a price (in cents) ends with a 7 it's the original price, but if it ends with a 5 there's another markdown coming, and with a 1 is the final markdown. Walmart has grown over the last 50 years into one of the largest retailers in the world, with over 265 million customers visiting more than 11,200 stores worldwide. ‘Every Day Low Price’ is the cornerstone of Walmart’s one-stop shopping experience; from grocery and clothing to furniture and crafts, Walmart is more than just a brick and mortar store. Online shoppers should take advantage of Walmart coupons to save more.